If you have been injured from side effects while taking Juluca, Tivicay, or Triumeq, contact us immediately to protect your rights. If your child has suffered birth defects from Juluca, Tivicay, or Triumeq, you may be entitled to compensation. Our law firm has started investigating legal claims on behalf of all persons who have been injured from serious side effects while taking Juluca, Tivicay, and Triumeq. Filing lawsuits against the makers of Juluca, Tivicay, and Triumeq may result in significant compensation for individuals that may have suffered neural tube birth defects from taking the drug. 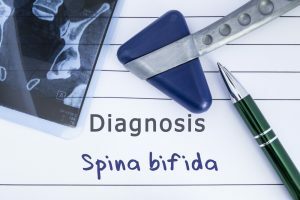 Juluca, Tivicay, and Triumeq Lawsuits: Taking these drugs may have caused Spina Bifida birth defects in children. Studies have shown that the anti-HIV drugs Juluca, Tivicay, and Triumeq have been linked to neural tube birth defects like spina bifida in children. Tivicay is an oral medication prescribed to people who are HIV positive. The drug helps block the virus and keeps it from spreading throughout the body. Recently, the Federal Drug Administration (FDA) put out a warning to women regarding the dangers of taking Tivicay. Studies performed on HIV positive women in Botswana who took the drug were found to be in a high-risk group for having children with birth defects. Tivicay and other drugs that contain dolutegravir can cause neural tube defects in the beginning stages of their pregnancy. Our lawyers are investigating filing lawsuits on behalf of children that may have suffered neural tube birth defects from their mothers taking Juluca, Tivicay, or Triumeq during pregnancy. Such Tivicay lawsuits will seek to provide financial compensation for affected children and their families. Women who may not know they are pregnant are at risk if they continue to use Tivicay. To prevent the possibility of birth defects, the FDA is strongly recommending that they switch their medications to a drug that does not contain dolutegravir. The anti-HIV drugs Tivicay, Juluca, and Triumeq all contain dolutegravir and should be considered dangerous for women who are or may get pregnant. The repercussions of taking Tivicay before and during pregnancy can create painful birth defects for children born to mothers who have been using the medication. In the first part of a woman’s pregnancy, Tivicay can stop the fetal development of the spine. Neural tube defects caused by amniotic fluid damaging the fetus can cause the unborn child to have spina bifida, meningocele, anencephaly, iniencephaly, and encephalocele. Juluca, Tivicay, and Triumeq Lawsuit: Do You Have A Case Against The Makers Of This Drug? Contact our lawyers today if have been taking Tivicay or another drug containing dolutegravir. If your baby was born with a neural tube defect such as spina bifida, we can help you understand what your options are for a lawsuit. We will assist you by giving you a confidential and free consultation and walk you through the steps to file a lawsuit if you qualify. FDA issues warning on Juluca, Tivicay, and Triumeq birth defects – Lawyers file Tivicay lawsuits to get compensation for injuries. The Food and Drug Administration has issued a warning that certain drugs used to treat HIV, most notably Juluca, Tivicay and Triumeq, have been linked to some serious birth defects affecting the neural tube when taken during pregnancy. Our lawyers are investigating filing lawsuits on behalf of women who took Tivicay and had babies with neural tube birth defects. These lawsuits seek to get compensation for the injuries that may have stemmed from taking Juluca, Tivicay and Triumeq. In a recently issued drug safety announcement, the FDA has provided information that drugs containing the antiretroviral medication dolutegravir may cause an unborn child’s brain, spine and spinal cord not to develop correctly during pregnancy. The information in the announcement is based on a current study on the effects of dolutegravir in Botswana. After discovering that the active ingredient has been linked to numerous cases of birth defects, the FDA has began investigating drugs that contain it. Dolutegravir is a medication used to treat HIV that was first approved for use in the United States in 2013. It belongs to the antiretroviral class of drugs and is often used in combination with other antiretrovirals. It works by blocking an HIV enzyme, which in turn keeps the virus from multiplying. Dolutegravir is the sole active ingredient in the drug Tivicay. It’s also present in combination with other antiretrovirals in the drugs Juluca and Triumeq. According to the FDA warning, the neural tube birth defects associated with dolutegravir have been observed early in the pregnancy. The agency has called on women to be aware of the risks of taking the drug and to inform their healthcare professional if they’re pregnant or planning to become pregnant before they begin taking any drug containing dolutegravir as an active ingredient. The FDA has also recommended that any women of childbearing age taking a dolutegravir-containing drug should use effective birth control methods while undergoing the treatment. The FDA has emphasized that despite the risks of potential birth defects, women taking dolutegravir-based medications should not stop taking them without consulting a healthcare professional. Those taking the drug can consult their healthcare provider to discuss the possibility of switching to another medication. The agency states that it will continue to closely follow the current study in Botswana as more information becomes available from women who have taken the drug in question during the early stages of pregnancy. The FDA is expected to do a more comprehensive review of the results once additional data becomes available and provide an update to the public with more information.